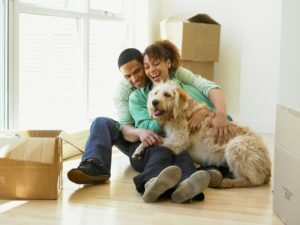 Finding A New Home For You and Your Pets. Ways help pets move safely. Moving is always exciting and stressful. The joys of finding a new home can be overwhelmed by house-hunting, packing, and financial pressure. Even if you know your new place is much better, moving can create anxiety. That’s very true for your pet dog or cat. In fact, anxiety and stress can be worse since they do not understand what moving means. 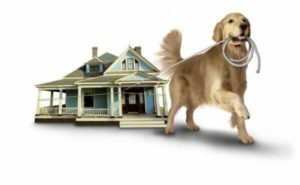 Read on for some tips on how to find a new home for you and your pet, including finding the right home. When looking at new places, you have to look for more than just a good yard. Realtor.com explains why you need to find any rules and assess the layout. 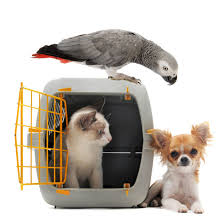 Apartments limit what pets you have, but some condo and housing associations do this as well. Speak directly to whoever is in charge and ask about any restrictions, fees, and rules about owning cats or dogs. Consider the space needed and how much of your new home will be open to your pet. Big, active dogs cannot live in a small space, and elderly cats might not do well with lots of stairs. Peoplewithpets.com has an excellent resource for you. They list pet-friendly apartments and communities by state, but they also have links to hotels that accept pets (great for long-distance moves), groomers and trainers in your new community, and even restaurants that let your pet join you. All of this can help you find the right neighborhood for your new home. 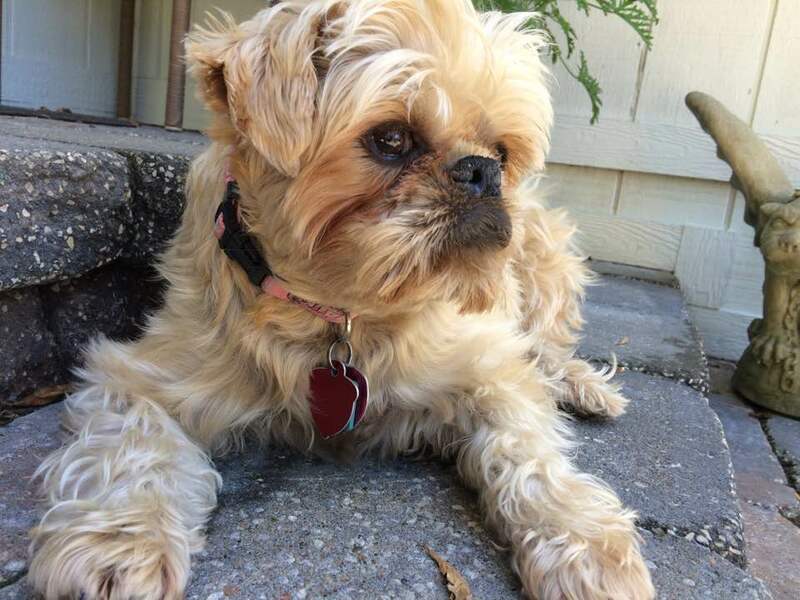 You’ve picked out a neighborhood and home perfect for you and your pet. 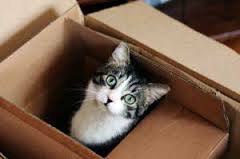 Before you can start putting boxes in a moving van, you need to prepare your cat or dog for the move. To begin with, speak to your vet about paperwork. Get medical records, update prescriptions, and ask if your vet recommends anyone in your new community. 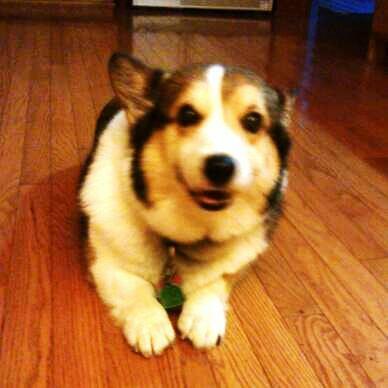 Then create a “quiet room” at your old home so your pet can be kept from the chaos and stress of moving day. 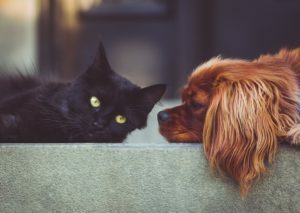 Both cats and dogs can be territorial, so give any moving helpers some treats to feed your pet. This can help your pet feel safer. Although cats often dislike crates, it can help keep them from getting underfoot or worse. Dogs should be put in a crate or cage when traveling. 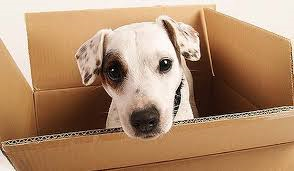 Moving day can be hard on a pet dog or cat, but so can living in a new home. The smells, sounds, and layout have all changed, and this can stress out your pet. That’s why you need to explore the new home along with your pet. To prevent getting overwhelmed, restrict your cat or dog to 1-2 rooms at first. Let them fully explore those spaces, then gradually introduce new rooms. Also, unpack their belongings first and try to place them in the same spots. If you kept a litter box in a bathroom at your old home, put it there in your new one. Put food and water on a raised platform in your new home so they don’t have to stretch to reach them. For cats, make sure the litter box is easy to get in and out. Arthritis can affect pets, so consider ramps or shallow steps to allow your cat or dog to more easily reach beds, couches, and so on. 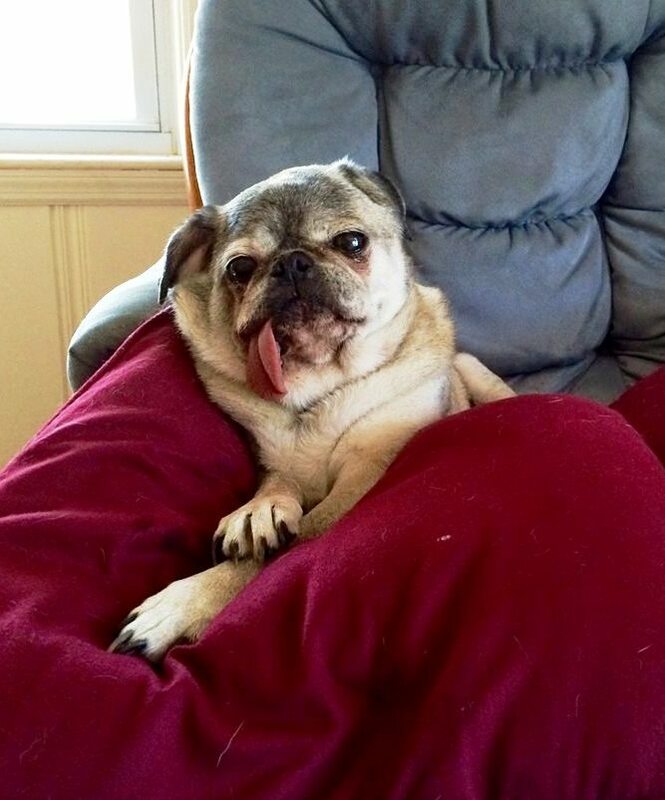 Orthopedic beds can help older pets, but don’t buy one until you’ve lived in the new home for two weeks. Then you can introduce a new place to sleep. Moving is exciting, but it’s also stressful. That’s why you need to prepare ahead of time for moving your cat or dog. Start by making sure your new community is pet-friendly. Keep your pets in a quiet room on moving day, and when you get to your new home, help your pet get acclimated to the new space. This will help both of you enjoy your new home that much faster.